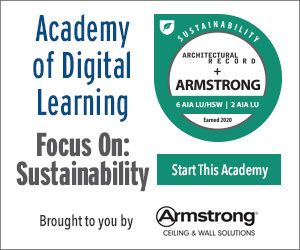 Identify continuous insulation and anticipated optimized building performance resulting from its integration. Recognize codes and standards such as International Building Code (IBC), International Energy Conservation Code (IECC) and ASHRAE 90.1 requiring CI and prescriptive R-values. Identify NFPA 285 requirements associated with selected CI, cladding and wall assemblies. Select commonly used continuous insulation products based on material properties such as thermal performance, fire resistance, UV resistance and moisture resistance. During the past 20 years, the building sector has seen a significant shift around the use of continuous insulation (CI). Evolving from what was once a rare practice or perceived as an advanced green-building, high-efficiency option to today where CI is now a standard method and materials practice across most climatic regions. So what is continuous insulation? What has been the driver behind its rise? What performance benefits has its use provided? What changes in codes and standards have resulted? What material solutions are currently used? These questions are addressed in this course. University of Mississippi Student Housing Phase II in Oxford, Miss. In building enclosures, the structural wall layer, often steel stud, CMU, concrete or wood stud, has elements that by structural or mechanical necessity extend through the traditional insulation layer of the wall system. Components including steel columns/beams, steel or wood studs, solid concrete or hollow core concrete masonry units (CMU) all have high conductivity elements that extend from inside to outside. These high conductivity components penetrate through cavities and/or cores where the traditional insulation layers in the wall are located, creating thermal short circuits that may reduce the thermal effectiveness by as much as 50 percent. If buildings are thought of as “buckets,” then these thermal short circuits are essentially “holes in the energy bucket” and can place additional demand on HVAC systems, wasting energy and costing money. These thermal short circuits can also contribute to long-term moisture accumulation, condensation, wall system deterioration and reduce thermal comfort. 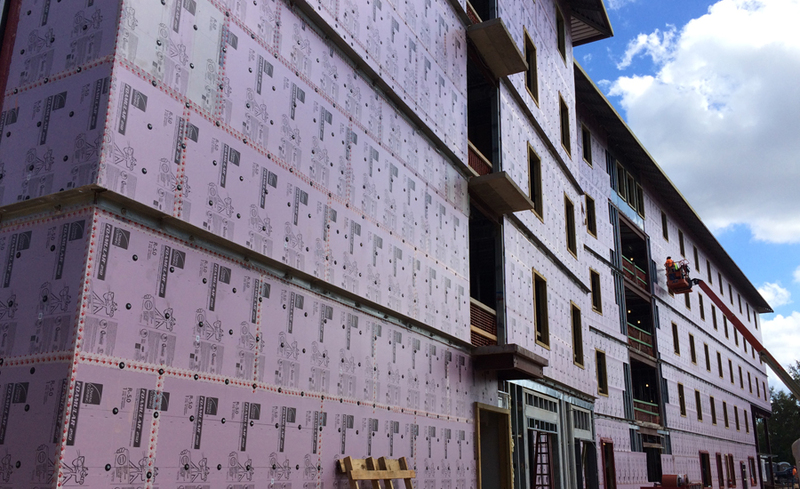 Using a layer of CI to “wrap” the building enclosure in a “blanket,” covers the “holes,” the short circuits, maximizing wall system performance, minimizing energy cost and reducing the likelihood of deterioration. Also, CI, extruded polystyrene (XPS) in particular, is sometimes used as the air barrier layer as well as the CI layer. XPS with tape sealed joints and penetrations has been demonstrated to perform as a code compliant air barrier layer in accordance with ASTM E2357 testing. Energy standards are a main driver behind the evolution of CI in building walls from “non-existent” to more mainstream “common practice.” See Tables 1 and 2 that summarize the prescriptive R-value recommendations for CI for steel framed and mass walls (such as concrete masonry, CMU) from ASHRAE Standard 90.1 and the International Energy Code (IECC). In the steel framed table, Table 1, the first value is the prescriptive recommended R-value for cavity insulation in the stud cavity. The second value is the prescriptive R-value recommendation for CI. ASHRAE Standard 90.1 Energy Standard for Buildings Except Low-Rise Residential Buildings. American Society of Heating, Refrigerating, and Air-Conditioning Engineers, Inc., Atlanta, GA.
* Prescriptive R requirements are approximate for illustration purposes only. ASHRAE Standard 90.1-1999 had 26 climate zones. In 2004 and thereafter the number of zones were reduced to 8. Since there is not a direct conversion from 1999 to 2004, the 1999 columns are an approximation based roughly on the boundaries as defined by CDD50 and HDD65 for each region. The mass wall table, Table 2, has only one value which is the prescriptive R-value recommendation for CI. * Prescriptive R requirements are approximate for illustration purposes only. 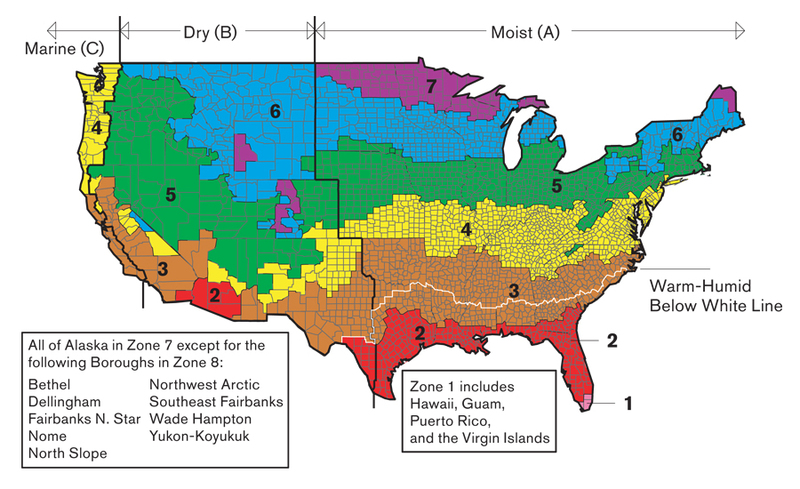 ASHRAE 90.1-1999 had 26 climate zones. In 2004 and thereafter the number of zones were reduced to 8. Since there is not a direct conversion from 1999 to 2004, the 1999 columns are an approximation based roughly on the boundaries as defined by CDD50 and HDD65 for each region. What is the Driver for the Rise of CI? The first version of what was to become ASHRAE 90.1 was published in 1975. Since then it has been updated many times due to rapid changes in building technology and energy prices. Tables 1 and 2 chart the increase in prescriptive R-value recommendations across several editions of energy design standards. ASHRAE 90.1 first introduced a prescriptive recommendation for CI in 1999. The immediately preceding edition in 1989 had no specific reference regarding the use of CI. Beginning in 1999, the prescriptive recommendation for CI has moved further south, eventually reaching all the way to Climate Zone 1, while CI R-value recommendations for the other zones have steadily risen. The evolution of CI in building walls from “non-existent” to “common practice” is the outcome of both common sense economics, and, attempts to reduce the impact of energy consumed by buildings on global climate change. At the time that ASHRAE Standard 90.1-1999 was published there was little discussion about the relationship of buildings to the climate issue. In the early 2000’s, in a prominent national discussion lead by the influential environmental architect Edward Mazria, it was identified that buildings were responsible for about 50 percent of all the energy consumption and CO2 emitted in the United States. In response Mazria conceived and introduced the “2030 Challenge,” an initiative that proposed that the architecture and construction communities adopt a series of greenhouse gas reduction targets for new and renovated buildings. All new buildings, developments and major renovations shall be designed to meet a fossil fuel, greenhouse gas (GHG) emitting, energy consumption performance standard of 50 percent of the regional (or country) average for that building type. At a minimum, an amount of existing building area equal to that of new construction be renovated annually to meet a fossil fuel GHG emitting, energy consumption performance standard of 50 percent of the regional (or country) average for that building type. And, be carbon neutral by 2030 (meaning zero fossil fuel, and GHG emitting energy to operate). 90.1-2010, targeted 30 percent reduction in energy cost relative to the 2004 standard. 90.1-2013, targeted 50 percent reduction in energy cost relative to the 2004 standard. Of course there were many building components and mechanical systems that ultimately contributed to the overall energy reduction goals, but, CI played a role as illustrated by the increasing R-values for CI in Tables 1 and 2 during this time period (See Tables 1 and 2 on the next page).